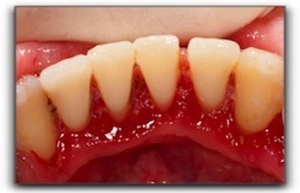 Gum disease is a principal cause of tooth loss among adults in the United States. There is also evidence that it is associated with heart disease. At Decatur Smiles in Decatur, gum disease is easy to treat when it’s caught in the early stages. If you are not removing plaque between your teeth, however, your gums are at risk. Brushing alone is not enough—make sure you floss daily. Regular dental check-ups is another vital weapon in the fight against gum disease. We recommend seeing us twice a year. There are a lot of different risk factors for gum disease, but smoking is easily the biggest. Smoking also makes treating gum disease harder. If you smoke and need yet another reason to quit, there it is. At Decatur Smiles in Decatur AL, we offer effective gum disease treatment. We also offer a wide range of general dentistry services. Schedule your nexct appointment with us today.